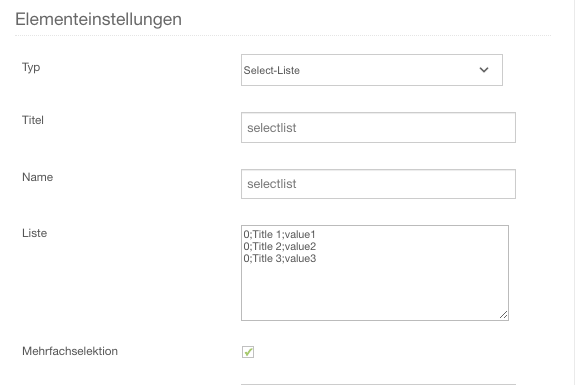 we have an Issue with Checkbox-Groups and Select-Lists with multiple-Selection Option switched ON. Values of Select-Lists and Checkbox-Groups are not transmitted in customized Pdfs. Only the last value is printed (Please see screenshot and pdf-file). You need to define your checkbox groups as arrays in order to print all the values in your PDF attachment. And finally to output this array you need to use implode function which will take all the array values and print them out as a string. And that's it ! Let us know if this worked for you. Last edit: 1 week 3 days ago by MarioPuco. And no pdf is being sent. I send you the form and the pdf-template. Both are in the attachment. Again I saw my typo and I corrected it.